About MeI facilitate art & writing workshops internationally around my books. A creative art and learning experience integrating storytelling, and sharing my + read more paintings and books - incorporating many kinds of literary and art techniques. The art making is child or if adults ( teachers) inner child focused and process orientated. It culminates in a celebration and showcase of the work done. 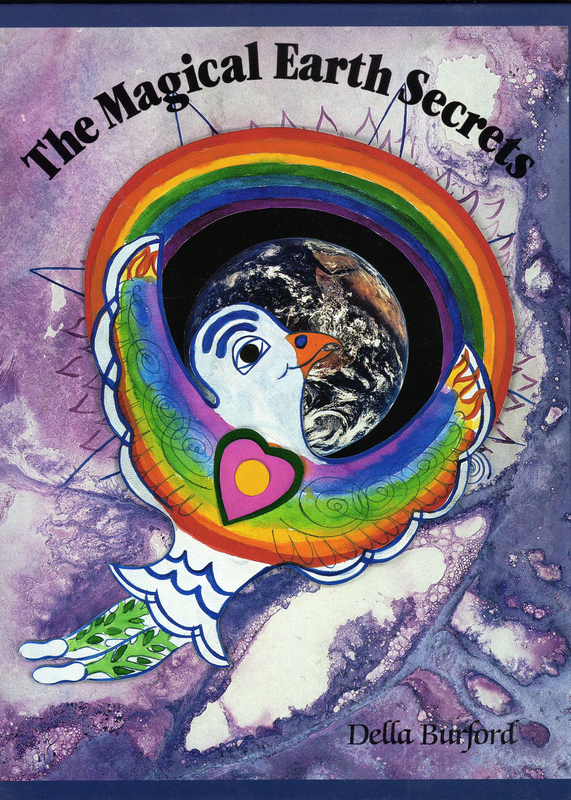 "Dodoland"​ emphasized Imagination, "Magical Earth Secrets"​- environment, "Miracle Galaxy"​- healing & angels, Dreams Keys and Dream Wheels"​ - dreams including a 40 year history of my dreams which have been manifested. Plays of my books have performed at the Museum of Natural History, B.A.M., Smithsonian, 3rd St. Music School, hospitals ( Sloan Kettering, Metropolitan Hospital and Children's Hospital) and schools. They were performing for 7 years in N.Y.C. I also personally storytell my books and design workshops from there on both writing and art tailored to individual groups. My paintings/stories have been in as well as Canada and U.S.A. in Guatemala, Mexico, England, Holland, Austria, Korea, Japan & Bali. 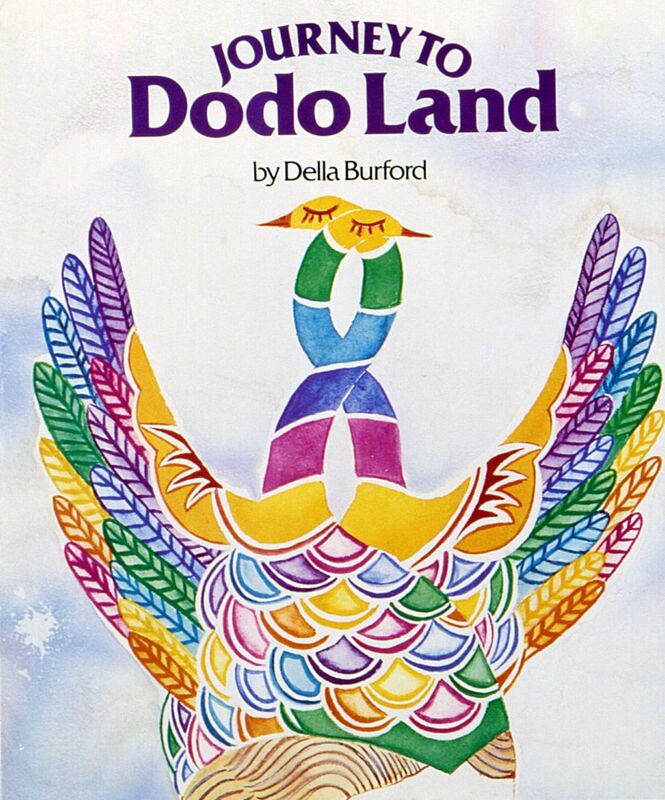 In 1979 6,000 copies of Dodoland were gifted to needy children. In 1995 an ezine was created called Dodoland on the internet and has had one million people visit it . 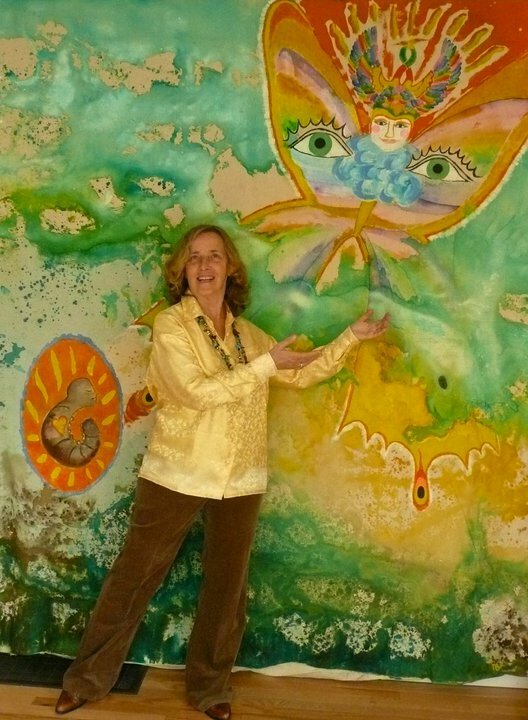 In surviving a health crisis I created Miracle Galaxy'​- a story of healing with eight angels who help those in crisis. All the Angels represent the chakras of the body and the goal is to create health ,happiness and healing. In Dodoland we have the Miracle Castle for the Angels. I have led workshops in 300 different schools from for 15 years , these were as an Inner City Angel in Toronto & grants with the Ontario Arts Council .I later led Art Residency program for Vancouver Schools and presently am part of the Arts Starts program. I storytell and lead workshops to encourage both children and adults to be imaginative, love the environment, create from travels and dreams, and create their own healing stories. One is called "Make an Angel". I am open to presenting more internationally . I have been a member of the Writers Union of Canada for 30 years. I have shown my art in many group and one woman show. The latest two one- woman shows were with Karja Art Space in Bali with my Dream paintings. I am presently the Western Canadian Representative for Art of Imagination. With this group I have shown in Ottawa, Montreal at the Eco-Museum and in Peru. In 2017 I organized a show of 30 Society for Art of Imagination artists work in Bali as well as leading workshops and in the Spring will be part of their One Art Space show in New York City in April/May 2017. Della's work demonstrates there are many creative ways to empower children. Children of the world need hope not despair. Published WorksThe Environmental Activity Guide. Azatlan, 1992. Untitled Poetry. Kingston, ON: Queen's University, 1991. Journey to Dodoland Los Angeles: Bird Helmet Productions, L.A. 1977. Speaking InformationDella has presented on such topics as "Teaching the Environment in a Creative Way" to librarian at the Metro Separate School Board in Toronto, People Making + read more a Difference at the Library in Toronto thru Windscape, "Encouraging Creativity and Imagination" to Teachers in Guatemala at the "Magic in Me Conference" where her book was theatrical performed and workshops done for teachers from Central and South America and also teachers in Nelson. so engaging her audience to act for sustainability." Penn Kemp, Creative Aging London Writer in Residence, www.mytown.ca/pennkemp Show Less The work and journey Della has been on bringing her dreams to life and fruition – through her 38 + read more year journey with the Dream Mandalas – is worthy of both the artist and the exacting scientist who develops a reproducible method that others can follow to realize their mythic imaginations. to align the stories we tell ourselves with the story intended for us to bring forth to the world." of the collective unconscious with our waking life." Prof Phil's Testimonials for "Journey to a Lotus" and the "Dream Wheels" book Show Less "Della is one of our original interdisciplinary artists in residence in dozens of schools where she + read more combined art and writing and storytelling, often utilizing her own publications that have been shared. She has worked with young people and teachers all over the world. Della brings immense artistic talent and skill in art and creative writing. Della incorporates mythology, poetry and real life environmental problems and moral values for healing into her work with young people and finding one's own personal myth." dream of love among all people in the world is possible!" Awards and Recognition:PIA Award, graphic arts award from the printers industries of America for Journey to Dodoland, 1999.